God created you with the most powerful hormone to resolve almost all of the above – it’s called progesterone. When your levels are low – always in menopause, but often in your child-bearing years, you will experience a cascade of really awful symptoms. Once you correct the deficiency by rubbing a little cream on your wrists at night, you will never want to be deficient again. And there is a PROTOCOL to follow for each of the above – it’s such a versatile hormone, that you use it DIFFERENTLY for each stage of life. For PREGNANCY, you have to have progesterone in decent amounts to carry a baby, or you will suffer a miscarriage in the first 3 months. Progesterone protects against endometrial and breast CANCER – a Johns Hopkins study found that infertile women with low progesterone had a premenopausal breast cancer risk of 540% greater than those with sufficient progesterone, and a 1000% greater risk of all cancers. Progesterone is said to inhibit growth and cause cell death in cancer cells. Progesterone facilitates assimilation of THYROID hormone into the cells, promoting normal thyroid function and more energy. Progesterone improves BONE DENSITY – it is extraordinary in reversing osteoporosis as it stimulates bone building. It’s important to note that the SYNTHETIC hormones made from progestin, medroxyprogesterone or progestogen like Provera are NOT natural progesterone – they are chemical drugs with side effects. You need bio-identical progesterone cream which is the identical molecular structure as what your body makes. VERY important. If you are experiencing any of these, progesterone cream may be helpful to you. You can get yours here. Use 2 weeks per month as follows during the second half of your cycle: The first day of your period is counted as DAY 1. Count to day 12 or to day 14 (depending on whether you have a long or short cycle), and THAT NIGHT start to use the cream. Use for 14 days (ie. to DAY 26 or 28) and then stop. You should have a period within 48 hours if you have a regular cycle, if not, you may have one earlier or later. If you have a period earlier than the 28th day – no problem, just stop the cream, and begin counting again as Day 1 to day 12/14 and then start the cream again. You may find your periods come closer together for the first month or two thereafter they will normalize. Be patient. 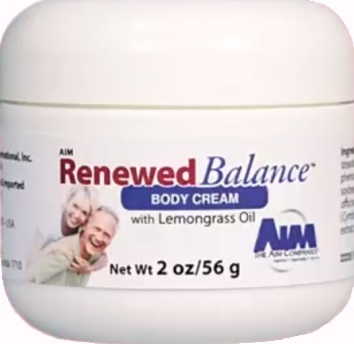 Please note – you must NOT use this cream if you are taking the Pill, or using any other kind of hormone treatments. Use the cream for 3 weeks instead of 2. Pick a day if you are no longer menstruating – such as the 1st of the month, and stop after 3 weeks, and take a week off. You can take just 4 days off if you wish, but try to start and stop at the same time each month. If you have spotting the first month, don’t worry – it is often the case. However should bleeding continue past the 3rd month, please see a gynaecologist. Very often a woman just on the edge of menopause will resume periods for another 6-12 months before going into menopause. Rub into the soft areas of the body such as: Inner arms, inner thighs, palms of hands and soles of feet, back of knees and mid-drift. Only do one area at a time, not the entire body. Anywhere the skin is soft. In addition, the cream can be used vaginally – at an amount over and above the amount used on the body. Choose an area for 3-4 days at a time – ie. rub onto back of knees for 3-4 days, then move to say the inner arms for 3-4 days. The following 3-4 days go to the inner thighs, and the following 3-4 days to the palms of the hands and soles of the feet. Do NOT use all over body daily – rotate as above. Palms of hands and soles of feet are particularly good places to rub cream. It doesn’t matter if you do more time on one area, or skip areas – the basic idea is just to move around the receptor sites for better absorption, that’s all. It also doesn’t matter if you use slightly more or slightly less, you need to get a result. From the size of a pea is fine, though you can’t really overdose on this cream, and it’s so safe. The recommended dosage is an eighth of a teaspoon to a quarter of a teaspoon (20-40mg). Start on the smaller amount and see how you go.